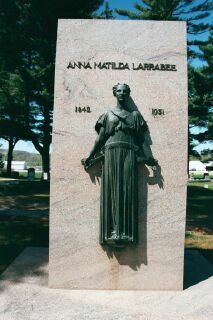 Anna Matilda Appelman was born in Ledyard, CT on August 13, 1842, the eldest of 8 children. She spent her early childhood on a family farm that had been a "grant of the Crown" to the Williams family. Her family tree stretches back to Pilgrims John Alden and Priscilla Mullins of the Mayflower and the Plymouth Colony. 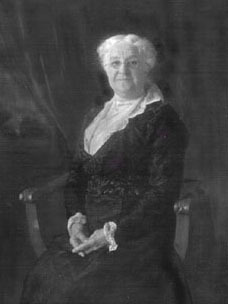 Her father Gustavus Adolphus Appelman was a whaling captain and her mother was Prudence Ann Williams Appelman. Her family moved to Iowa when she was 12 - they lived in the Garnavillo and Grand Meadow areas. She went to school for 3 months each winter. Other schooling she received from her parents. 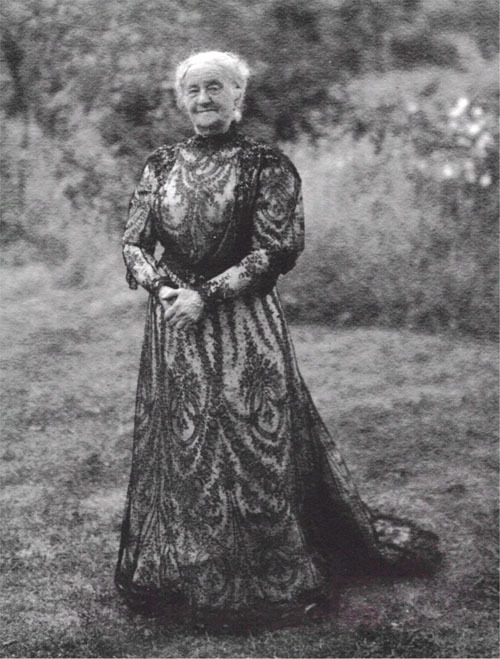 When she was 15, Miss Appelman returned to the east and finished her schooling at Mystic Academy in Mystic, Connecticut. She then returned to Iowa where she attended evening singing classes. It was there that she met her future husband - William Larrabee - who was conductor of the singing classes. She taught school for 2 years to save enough money for her wedding dress. "She was almost as well known in the state as her husband, for her ability to meet all demands, to grasp large affairs, to share in her husband's responsibilities, and withal, to make an attractive, wholesome home." (A quote from the book "Progressive Men of Iowa"). She married William Larrabee on September 12, 1861 and lived for awhile in a white stone building near the Clermont mill. The couple moved into Montauk upon its completion in 1874. Mrs. Larrabee was for 30 years the superintendent of the Union Sunday school in Clermont to which the family gave a pipe organ. In house servants had Sunday afternoons/evenings off so Anna would cook the Sunday evening meal, always New England dishes like baked beans and codfish.Mrs. Larrabee passed away on December 30, 1931.